Two double bedroom maisonette in Vicarage Close, Great Barr. Safe and secure cul-de-sac with off road parking and secure gated garage. 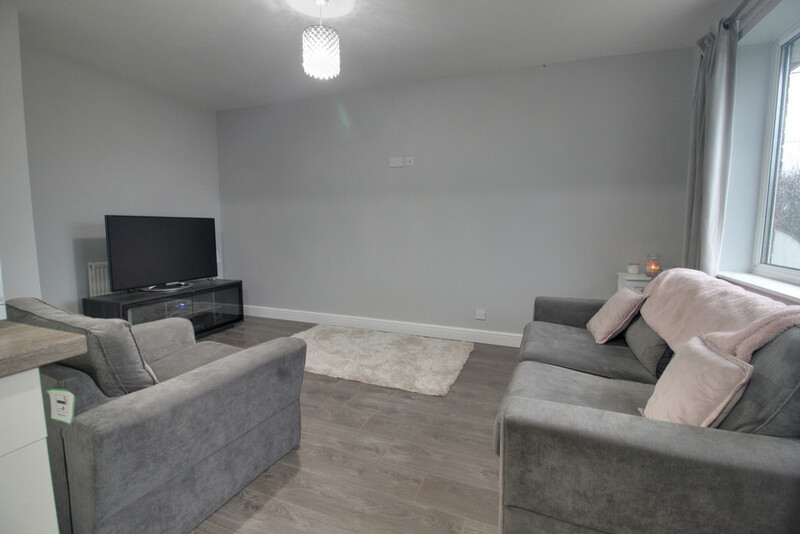 Recently part-refurbished property with gas central heating and fitted integrated appliances (electric oven, washer dryer and fridge freezer). NO GROUND RENT, NO SERVICE CHARGES, LONG LEASE. 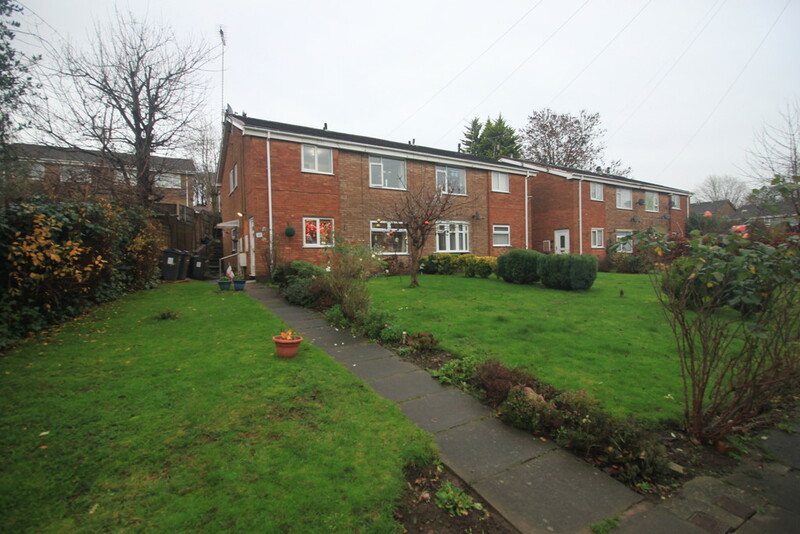 For this property 23 Vicarage Close Great Barr. Vicarage Close, Great Barr, Birmingham, B42 2QU more information. 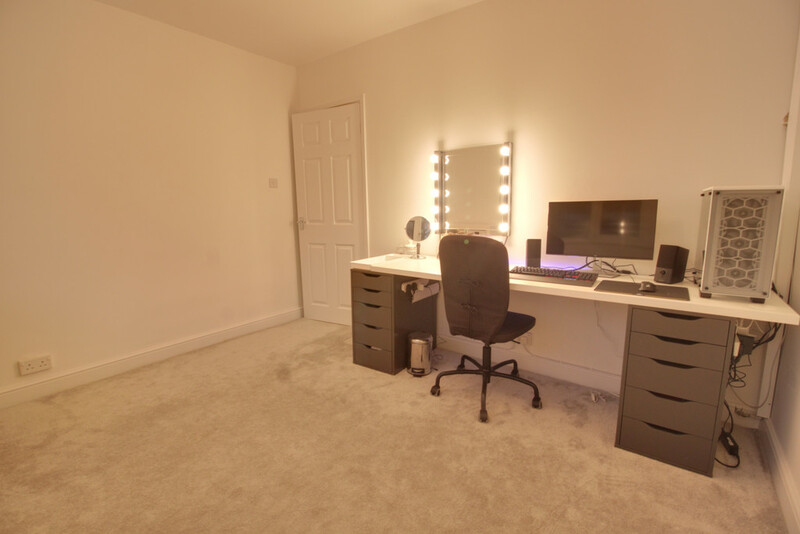 PROPERTY SUMMARY Great first time buyer purchase potential investment opportunity, recently valued at £625pcm (7% rental yield). Home is located at the end of a safe and secure culdesac with off road parking and locked external garage. This smoke and pet free home is a first floor apartment with private access. 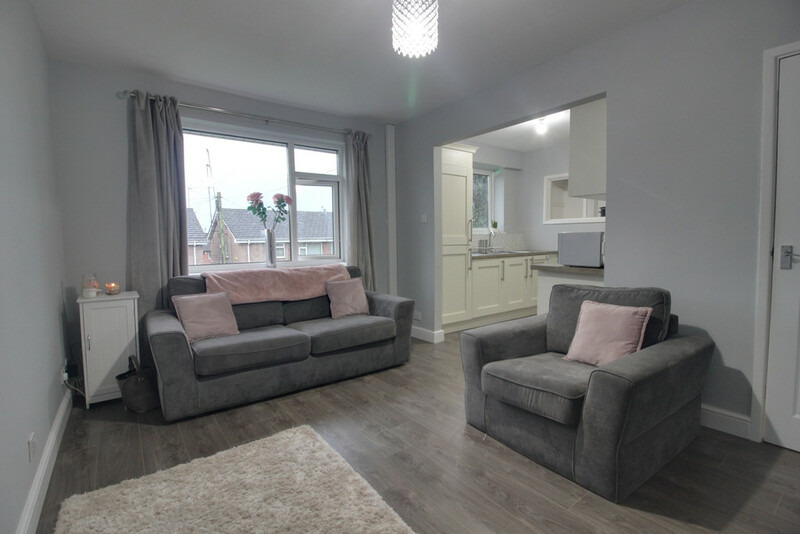 Landing area provides three spacious storage cupboards and access into two double bedrooms, fitted bathroom with shower over bath and recently fitted open plan kitchen and living room space with integrated appliances (INDESIT electric oven, fridge freezer and washer dryer). Easy access to generous loft space containing modern Ferroli boiler. 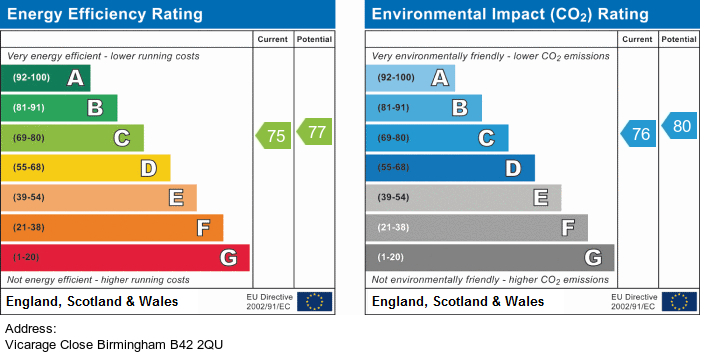 Property also includes a low maintenance garden area to the rear. 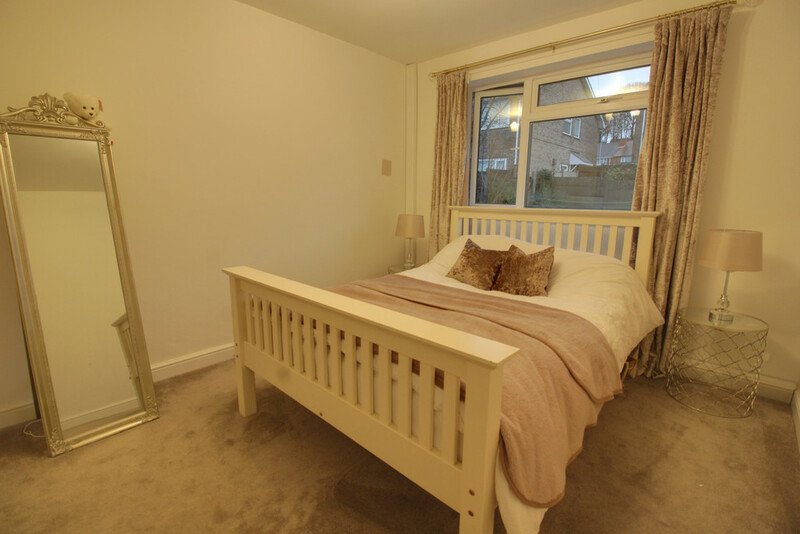 Walking distance from local shops, takeaway restaurants, supermarket and schools. Please note there is NO Ground Rent, NO Service Charge, 138 Years remaining on lease. HALLWAY Stairs leading up to the hallway with window to side, Integrated storage cupboards and doors to all rooms. 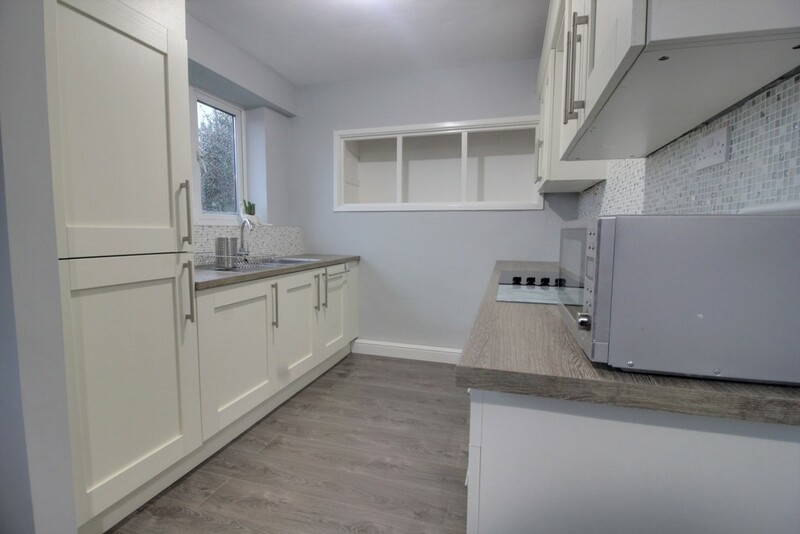 KITCHEN 8' 0" x 7' 9" (2.44m x 2.36m) Window to front, matching range of wall and base units with work surfaces, built in oven and hob, one and half bowl sink with mixer tap, integrated appliances including fridge freezer and washer dryer, tiles to splash prone areas and wooden flooring. 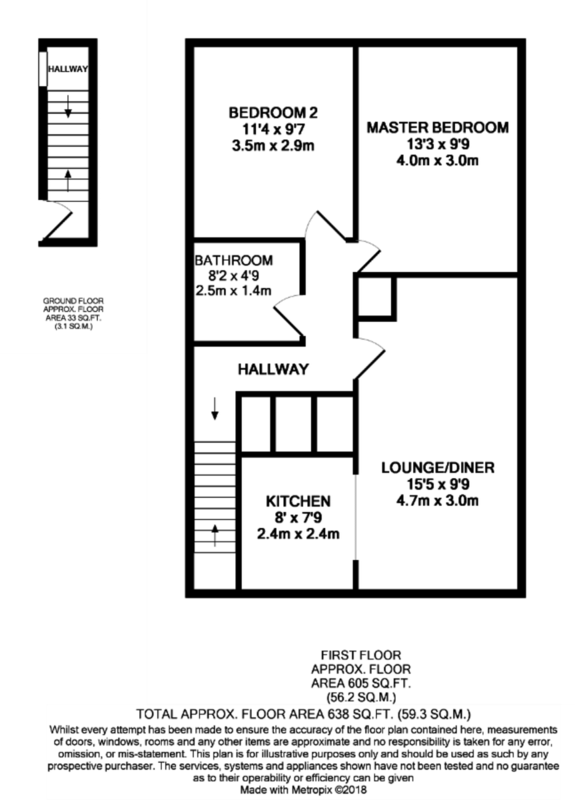 MASTER BEDROOM 13' 3" x 9' 9" (4.04m x 2.97m) Double bedroom with window to rear and central heating radiator. BEDROOM TWO 11' 4" x 9' 7" (3.45m x 2.92m) Double bedroom with window to rear and central heating radiator. 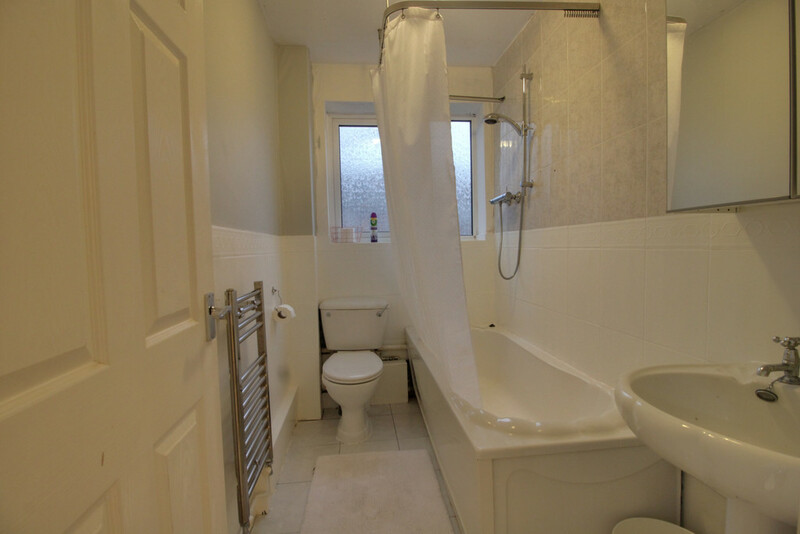 FAMILY BATHROOM 8' 2" x 4' 9" (2.49m x 1.45m) White suite comprising panel bath with shower over, pedestal wash hand basin, close coupled W.C, heated towel rail and tiles to splash prone areas.